Does your Miata feel just "quick." Is your Volvo wagon only powered for grocery getting? Can your blender not handle a few bricks? The answer to all your needs is: drop a V8 in it! Indeed, the answer to most automotive questions is "moar powar." But how does one go about getting moar powar? Crate motor. 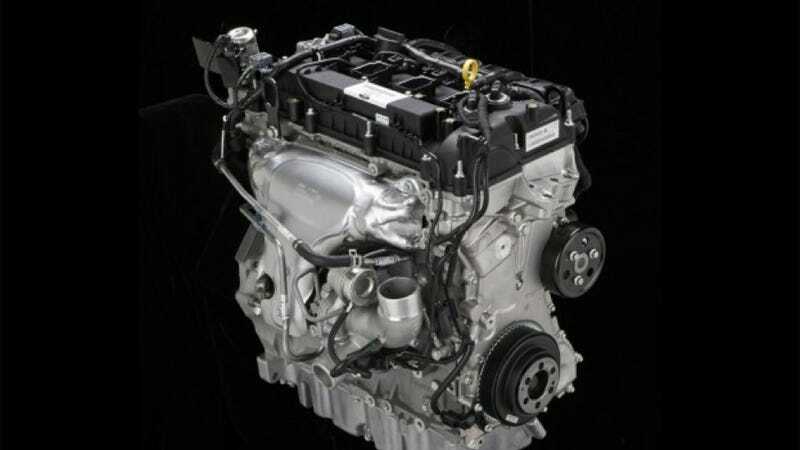 If I were buying a crate motor, I'd wait for Ford's EcoBoost 2.0 I4. It's a quite non-traditional choice, yes, but for me the only one. I mean, this is the same engine that's found in the "Car With The Longest Name": the Land Rover Range Rover Evoque. And that's quite an endorsement. It's powerful (240 horses), turbocharged (just cool), and small enough to fit in my imaginary Volvo P1800 project (I think). Now that that's out of the way, feel free to ridicule my choice in the comments. But don't forget to offer up the best big V8s, or anything else you think is the best crate motor.